Facebook teamed up with the Media Literacy Council in Singapore to launch its Bullying Prevention Centre for that country. AsiaOne reported that the site includes information, recommendations and guidance aimed at users who are being bullied, as well as friends, parents, teachers and even users accused of bullying. 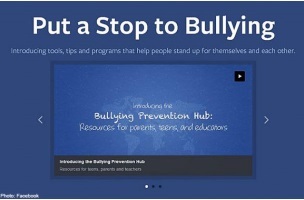 The site contains a list of specific actions for each instance, including links to Facebook’s reporting tools, AsiaOne reported, adding that a series of Media Literacy Council activities aimed at students and teachers will promote awareness of the Bullying Prevention Centre through May. We live in a world where occasionally conflicts will occur, both online and off, so it’s important to give people the tools and skills to tackle this behavior when they see it. The new Bullying Prevention Centre is part of our ongoing commitment to provide safeguards to the people who use Facebook, especially young people. We hope that by putting this kind of information at people’s fingertips when they need it, we will be able to help them resolve these conflicts. The Internet is just like the real world, but consequences are often magnified in the online world. It is our collective responsibility to make the world, Internet or otherwise, better. Readers: What do you think of Facebook’s efforts to prevent cyberbullying?